For more than 50 years, Ernest Holzberg & Associates has been successfully representing clients who were injured by someone else’s negligence, carelessness or wrongful conduct. Our firm continues to obtain numerous substantial recoveries for clients injured by automobile accidents, slip and falls, medical malpractice, construction accidents, workplace accidents, lead poisoning, dangerous products, and other causes. Every case that we handle is pursued with the intention of obtaining the best possible result for the client. Our attorneys are skilled litigators and exceptional negotiators who know how to investigate and fully assess each client’s injury to ensure that we obtain full value for each case. We never settle for less than what the client deserves. Ernest Holzberg & Associates is a small boutique law firm. We are proud of the personalized service that we are able to provide to each of our clients. 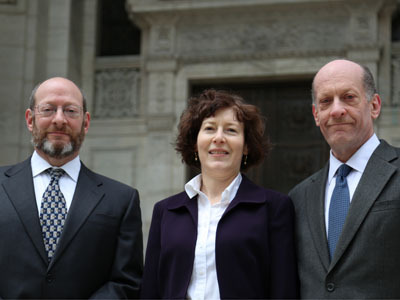 When you contact our firm, you will speak to one of the three Holzberg attorneys, not a paralegal. We understand that if we build a strong foundation for our client’s case from the beginning, the case will be successful in the end. That is why we take a “hands-on” approach to every case. Of course, there is no fee for a consultation. If you have suffered an injury in New York City, its suburbs, or any of the surrounding states, call Ernest Holzberg & Associates at (212) 391-1139 or click here to set up a free consultation. Let's get started on your case.